A PAPER dipole in the Karoo Desert of South Africa. The Precision Array for Probing the Epoch of Reionization (PAPER) is a low-frequency radio interferometer designed to detect the ignition of the first stars and galaxies around 500 Million years after the Big Bang. It uses intensity mapping of 21cm emission of neutral hydrogen at high redshifts (z=7-12) to measure the power spectrum of fluctuations in the intergalactic medium introduced by the first luminous sources in the universe. With funding provided by the National Science Foundation (NSF) and in partnership with the South African National Research Foundation, PAPER has deployed a 64-antenna array in the Karoo reserve in South Africa, and a 32-antenna array at the NRAO site near Green Bank, WV. PAPER is currently expanding its South Africa array to 128 elements. PAPER was recently featured in a South Africa Mail & Guardian article. Modern cosmology predicts the existence of a mostly neutral intergalactic medium (IGM) lasting from cosmic recombination until the first luminous objects ionized it between 300 and 800Myrs after the Big Bang. 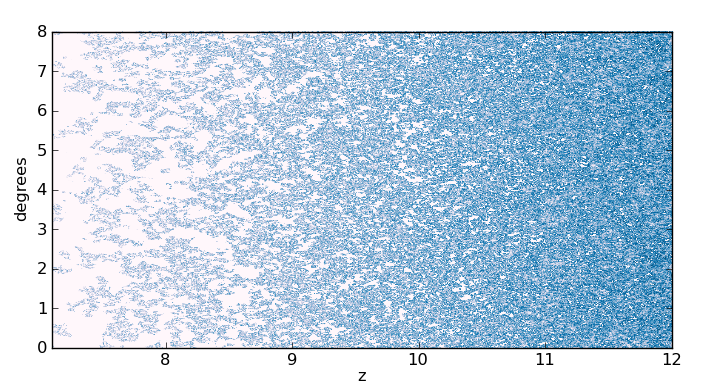 Redshifted emission from the 21cm hyperfine transition of neutral hydrogen provides a unique tracer of the primordial IGM. Variations in this signal versus redshift and direction could be reconstructed into a three-dimensional map of the evolution of cosmic structure. The direct observation of the neutral IGM via this signal would be an achievement comparable with the discovery of the Cosmic Microwave Background (CMB). reionization in the face of foregrounds that are five orders of magnitude brighter, the PAPER project is taking a carefully staged engineering approach, optimizing each component in the array to mitigate, at the outset, any potentially debilitating problems in subsequent data calibration and analysis. This staged approach allows us to systematically address observational challenges that arise from very-wide-field, high-dynamic-range imaging over wide bandwidths in the presence of transient terrestrial interference. integrated between 130-178 MHz with a sidelobe-dominated noise floor corresponding to a brightness temperature of 4K (Parsons et al. 2010). These deployments led to further improvements to the PAPER system, including the elimination of cable feedback, further development of receiver cards, and incorporation of digital equalization for reducing quantization effects. Green Bank now hosts a 32-antenna array that is being used to improve the global sky model and explore how to best tune array configurations for a power spectrum measurement. 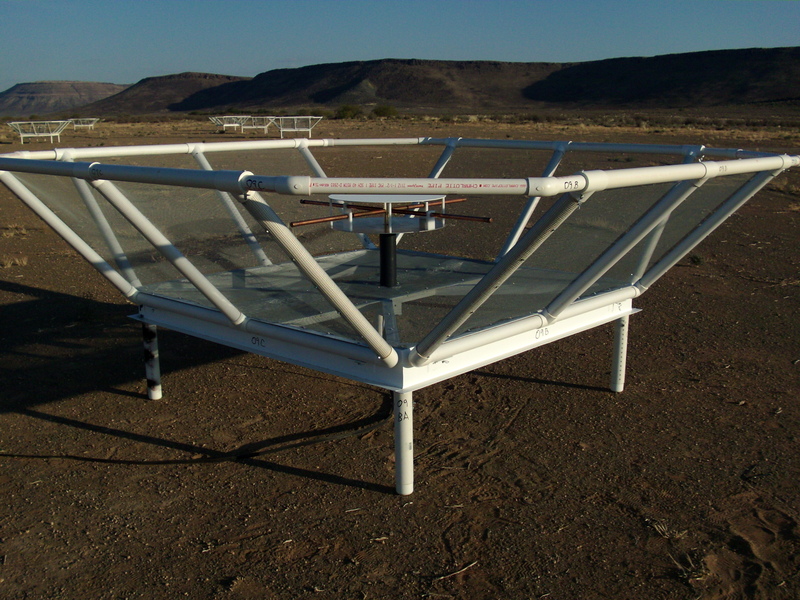 Deployments at the SKA-South Africa site in the Karoo desert began with ground breaking and the deployment of 16 antennas in October 2009, continued with an increase to 32 antennas in April 2010, followed by commissioning and observing in May 2010. In June 2011, the array was expanded to 64 elements, and this was followed by a 4-month science observation. PSA is in the process of being systematically expanded to 128 antenna elements, with periods of testing and science observation along the way. The Astronomy and Astrophysics Decadal Survey report (A2010) emphasized a consensus in the US astronomy community that the most incisive probe of cosmic reionization is direct observation of the neutral intergalactic medium (IGM) using the Hydrogen 21 cm line. In this vein, a Hydrogen Epoch of Reionization Array (HERA) program was proposed, and it received the highest ranked of the Decadal Survey RMS Panel scientific recommendations (A2010 Panel Reports). PAPER is a Phase-I HERA activity that is investigating key elements of the road map such as antenna design, array configuration, data storage, correlation and signal processing for large-N arrays, calibration, and interference mitigation techniques. Phase-II of HERA entails applying lessons learned during Phase I to define and build a larger array capable of detailed characterization of the statistical signal and imaging the brightest reionization structures. The final stage of HERA, Phase III, will address the challenges of full tomographic imaging using a Square-Kilometer-Array-scale facility with capabilities informed by the earlier work. This road map parallels the early days of CMB studies where multiple ground-based experiments were necessary to design the pioneering space mission COBE which has led directly to WMAP. This entry was posted in Uncategorized by pober. Bookmark the permalink.